This product is manufactured in Japanese standards. Please check the specification before you order., Standard specification of scale pan changed to flat type., This product is manufactured in Japanese standards. Please check the specification before you order., Standard specification of scale pan changed to flat type. I feel that the paint is easy to peel off. With this I bought about the fifth set. This review is about item#02010872. It is perfect for weighing liquid fertilizers and agricultural chemicals because the display is large in units of g.
This review is about item#3327721. This review is about item#03327737. It is about 2000 yen cheaper than the SD-12 purchase home center. I will continue to purchase. The scale we used once was for 2 kg. It was good when the amount of 1 kg was up to 2 kg, but if it was more than that, it was quite troublesome to measure in 2 divided doses, so I was looking for it, I found it with Monotaro and thought that I bought it unintentionally , Results It was easy to use and it was very good. This review is about item#02010915. I purchased it because the one I was using earlier was broken. It was cheaper than buying at other sites or shops. After all it was safe if it was the same thing that we used to date so we could purchase without hesitation. Since I believe that it is a manufacturer with a small balance error, I purchase up to 12k newly It was easy to use because the end of the plate was bent upward until 8k which I bought a long time ago · · · It seems that it became flattened, so I think that we will try ease of use from now. 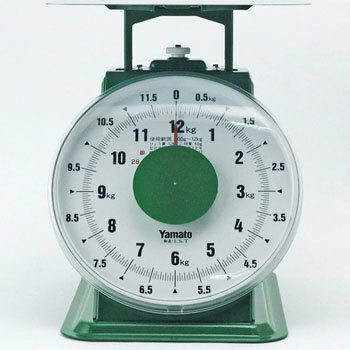 We are using it for measuring weighing products, so we have used Yamato because it was useless unless we passed the tests. There is a difference between SD and SDX, and the scale itself can be as large as 30 K in ordinary size. (Instruments with lower measurement limits should have no difference.) Only when I inquired to the maker by e-mail, there are only memories that were immediately answered ^ ^; I forgot which is oversized, but with popular type notation 10,000 The following is normal size and oversize exceeds 10,000. Because it might be good for an oversized type if weighing in a rice bag size with 30K total, I think that it is better to purchase it taking into consideration the size of the upper board.